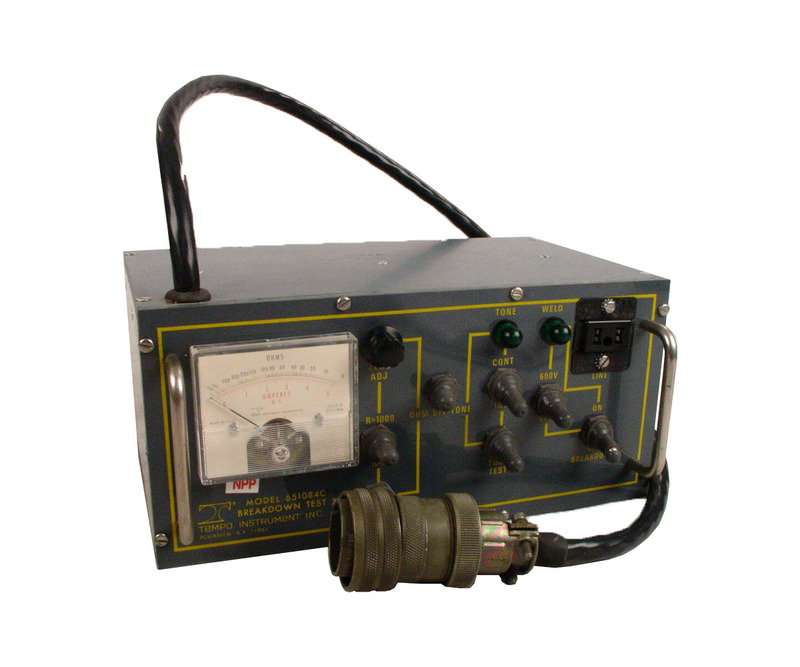 Tempo Series 651084C Test Sets are designed for field use in locating cable faults. They are solid state electronic devices, functionally equivalent to the Western Electric KS14103 Test Set. The Tempo Test Sets are capable of checking conductor and insulation resistance, and breaking down faults by applying a potential of approximately 600 volts between a faulty pair. They provide a tone signal for location of the fault by the exploring coil method. Each Test Set consists of a removable Test Control Module and Battery/Equipment Case, plus interconnecting cables, necessary carrying handles and straps. FS - 1 or 2 man crew operation with pair identification.